Video artist Keith Deverell and performer Will Tait (aka the Retrofitter!) 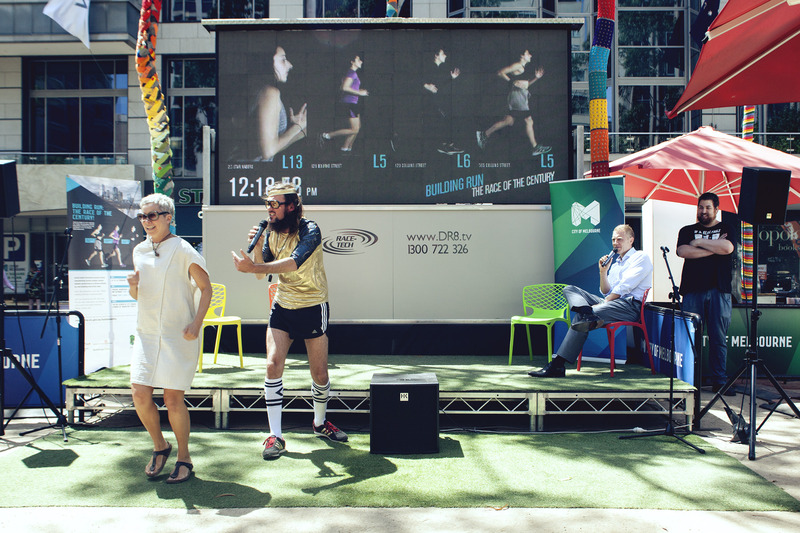 join forces to present an extraordinary competition on the big screen: Building Run Melbourne – a race for greater and greater energy efficiency, a race fuelled by data, facilitated by technology, but engineered by real people…like you! Watch as three stylish athletes, each representing a different commercial building in the centre of Melbourne, battle it out for first place each day in a surreal artwork that reveals much about our relationship with energy and the urban environment. 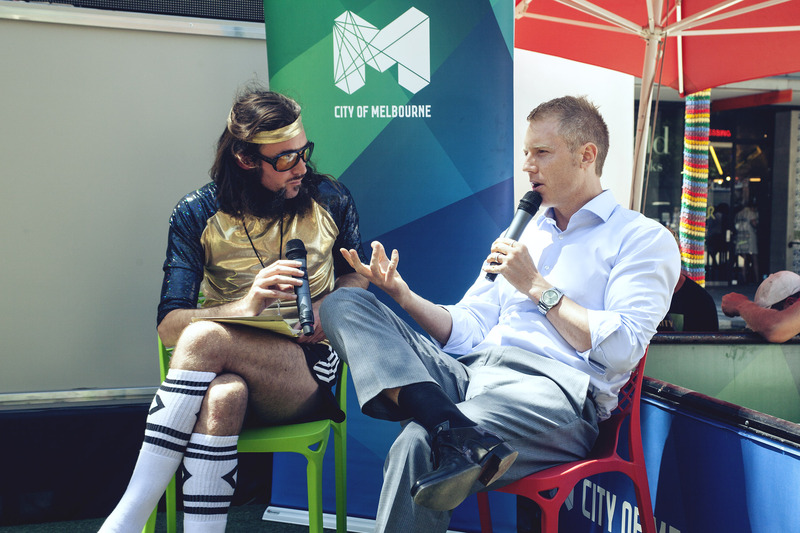 Witness the (building) fitness, as the athletes and their coaches strive to employ new strategies to become greener and leaner as part of the City of Melbourne’s goal to be carbon neutral by 2020. Pre- and post-race shows will feature interviews, games and prizes, and an ever growing stream of important insights. 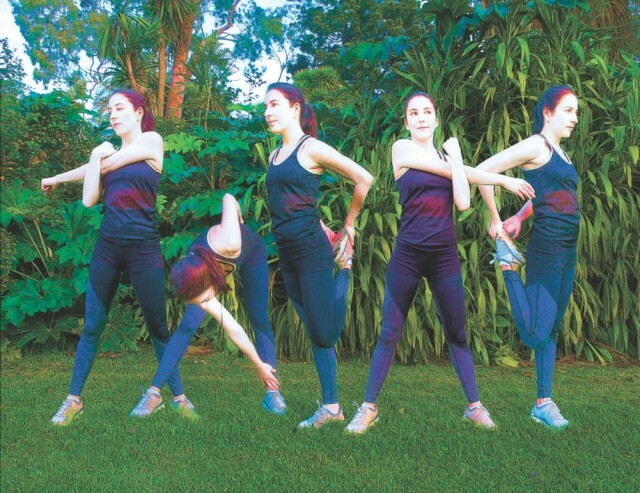 Building Run was first exhibited at the Sydney Art & About Festival in 2013 as part of the Sensing Sydney project conceived by Carbon Arts and the City of Sydney. 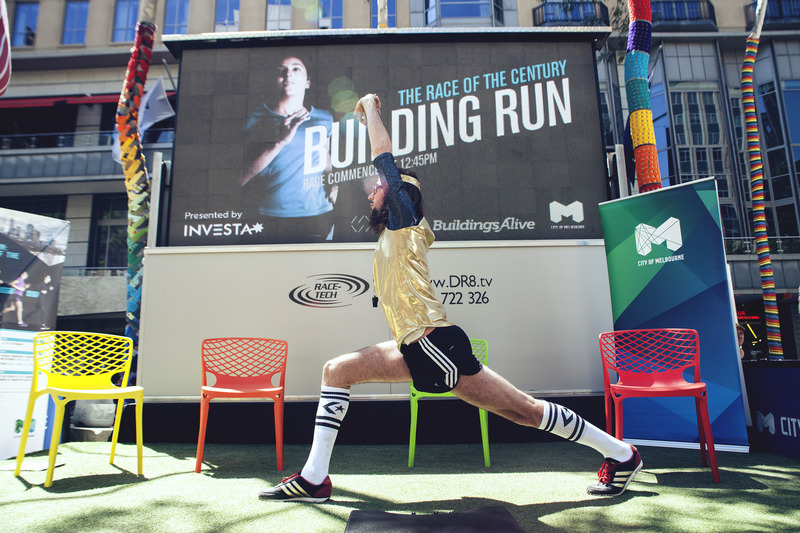 Building Run Melbourne is funded by the City of Melbourne and supported by Investa Office and Buildings Alive. BRM v4 720 from Carbon Arts on Vimeo.